With dams running dry and tanks reaching their final drops, farmers and families throughout Queensland need to use all available water supplies as efficiently as possible. This year, climate conditions in Queensland have manifested as a sustained, wide-reaching drought. Not only has the drought impacted the largest-ever area of the state for months, ongoing rainfall shortages have exacerbated the situation. In its latest drought statement, the Bureau of Meteorology revealed that October rainfall was below average or much below average for most of Australia – particularly in the east. The seventh-driest October on record nationally, the month added to water deficiencies that have accumulated over the past 11 months. As of November 5, water storage in Queensland was at 72.3 per cent capacity – down from the 82.9 per cent it held on the same date last year – according to the Bureau's data. "We haven't had that much rain across eastern Australia during the last month. With the lack of rain there has been no reason to see a shift in conditions so it's expected that without significant rain that it will continue like this," said Skie Tobin, a climatologist at the Bureau of Meteorology, the Australian Associated Press reported on November 6. Because of these water shortages, farmers and house-owners have to use poor water sources, such as low dams and creeks. Not only are many of these supplies laden with heavy minerals and salt to begin with, the drought conditions have only increased salinity levels. Left untreated, this type of water can be toxic for plants and animals. 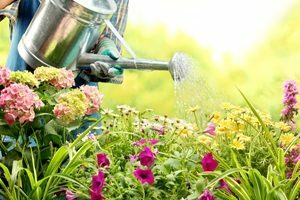 To prevent their gardens from drying up and their stock from becoming unhealthy, people are turning to Hydrosmart for a quick, reliable solution. Hydrosmart's water treatment technology lowers the salinity in water, enabling people to use previously sub-standard water sources for their animals, vegetation and homes. Drought will always be a significant burden for Queensland residents, but affordable, effective ways to leverage more water sources helps mitigate the effects.